Creating a basic network diagram is an effective way to design and document a simple network. A basic network diagram can help you show logically how different devices will be installed to meet business needs. 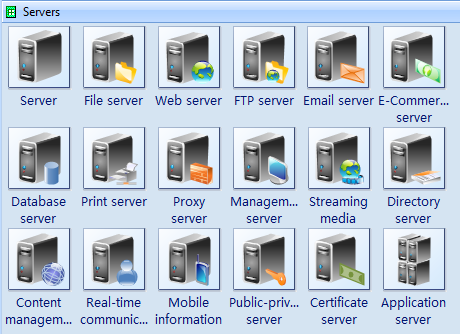 Managing a computer network today is no small task. In addition to controlling access to printers and files over the network, most administrators must also manage security and access, optimize traffic flow across Local Area Networks (LANs) and Wide Area Networks (WANs), coordinate repair and maintenance of network equipment, and oversee data backup, storage, and recovery. Edraw Network Diagram enables network and system administrators to plan, create, and maintain their networks by providing a clear and detailed graphic representation of their basic network structure. Using Network Diagram Software, you can quickly create a basic network diagram using shapes that resemble common network topologies and devices. 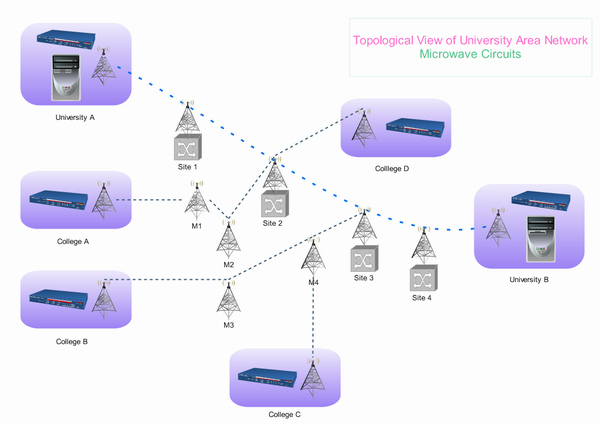 The connectors on the network topology shapes attach easily to the device shapes. Once connected, the devices remain attached, even when moved. 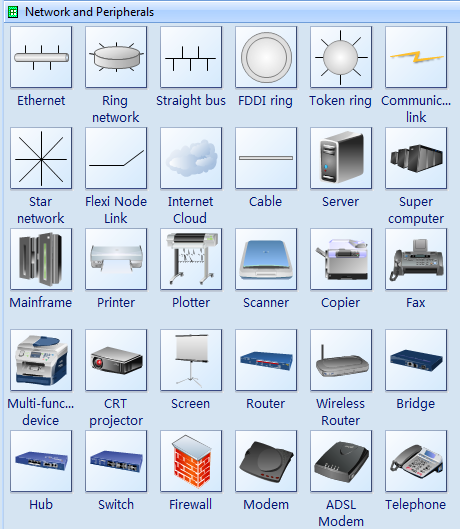 You can store data, such as network name and IP address, with the shapes provided. Once you've entered the data, you can generate richly detailed reports for those who need data on all the devices in a particular drawing. 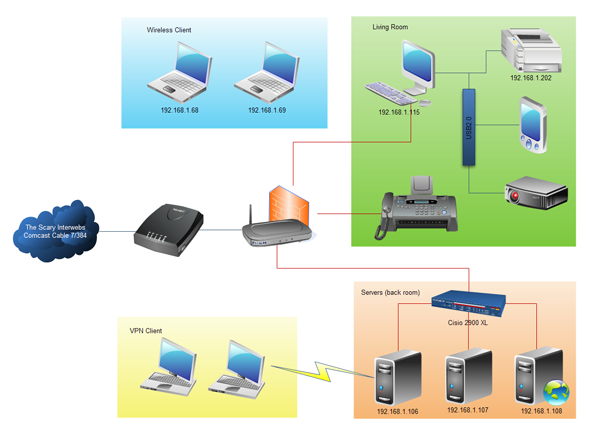 The following are basic network diagrams created by our network diagram software. You can find them on the software start page.